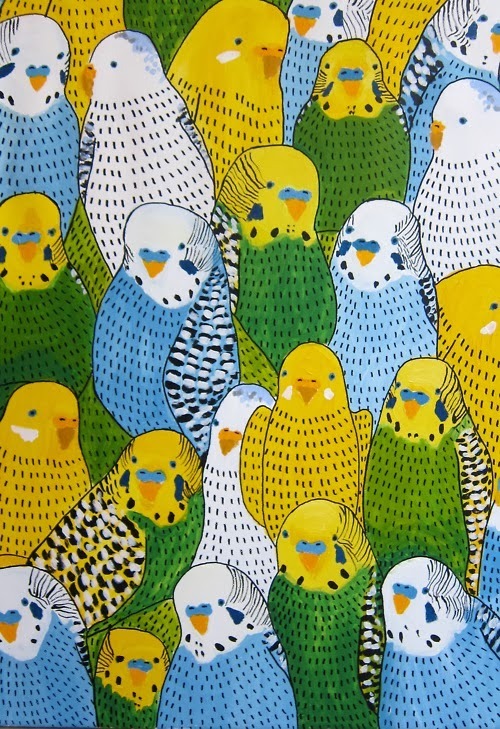 I came across this playful budgie illustration by Johanna Burai and immediately searched for more of her work. 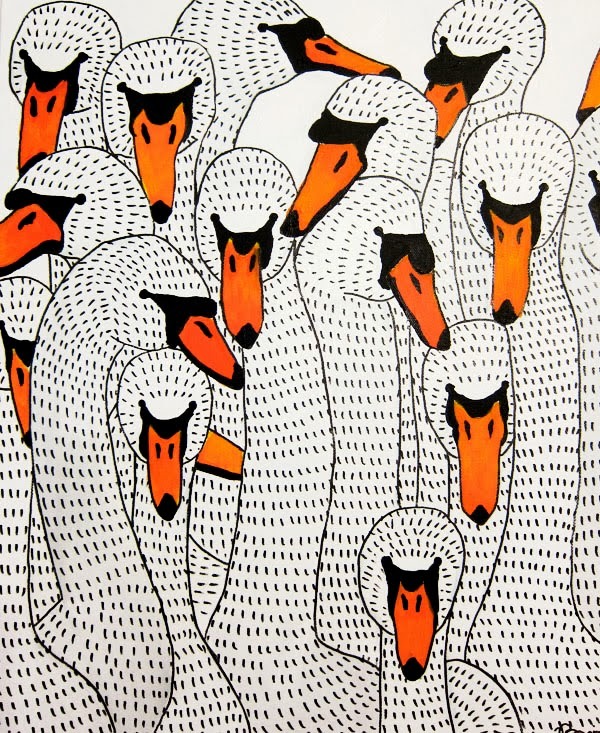 Johanna is a graphic designer and illustrator in Stockholm, Sweden. 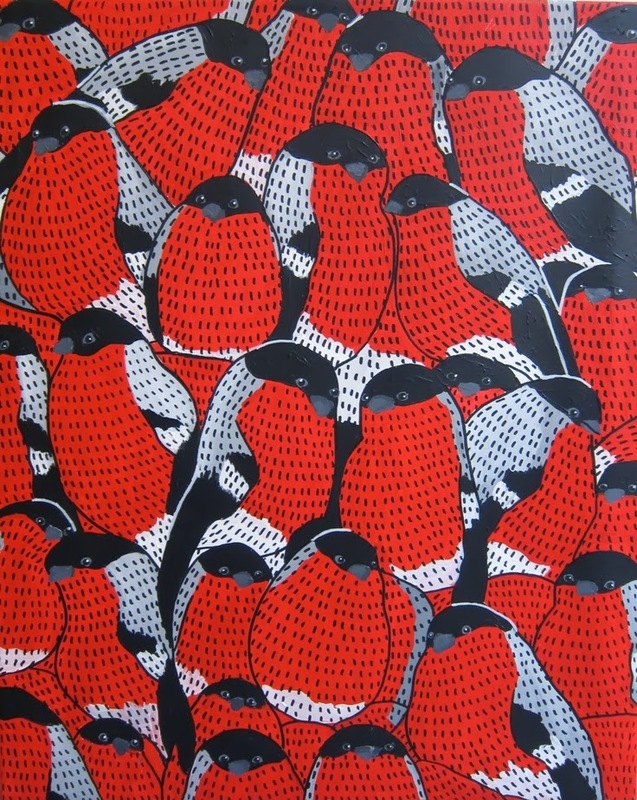 I love her use of color and line which creates beautiful textures. 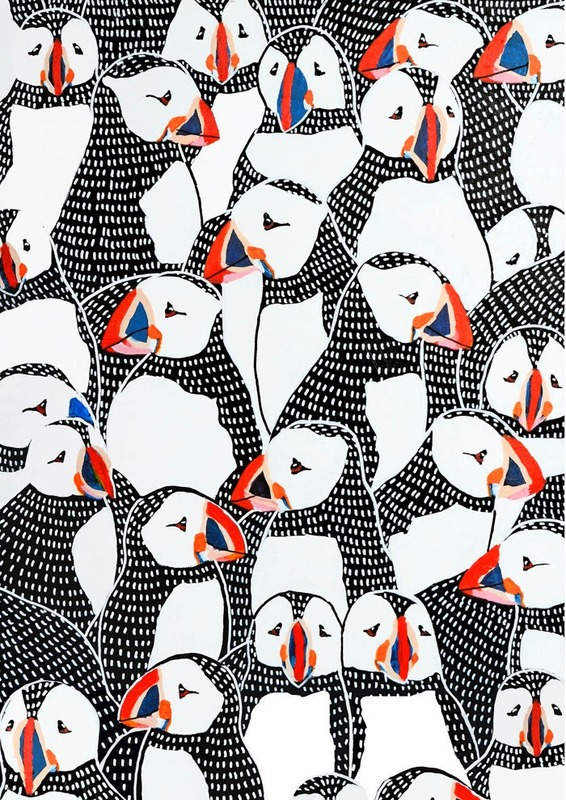 Each bird illustration is a lively conversational pattern and makes me smile. 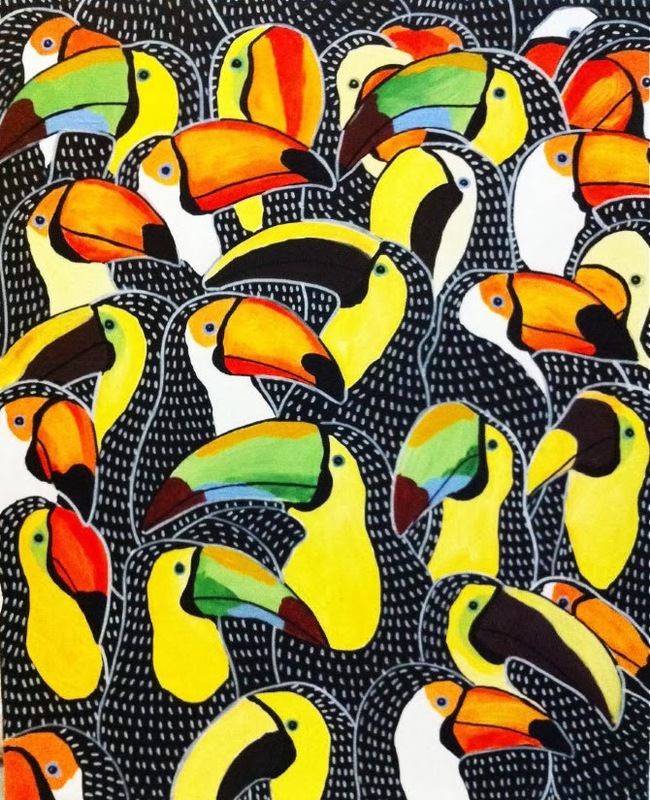 Be sure to visit Johanna's blog to see more of her work. Thank you for inspiring me today Johanna!